Earlier this week, Harris Interactive released the latest edition of a tracking poll focusing on the number of Americans who go online to find health information. The big surprise this year was that “only” 150 million US adults had reported using the Internet to find health and medical content this year. 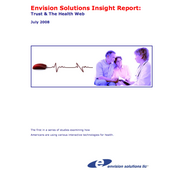 In 2007, 160 million Americans reported conducting online health research. Harris cautioned readers not to get too excited about the poll, saying: “The difference between this year’s and last year’s survey results . . . are well within the possible sampling error.” Overall, there are still a lot of Americans turning to the Internet for health content. 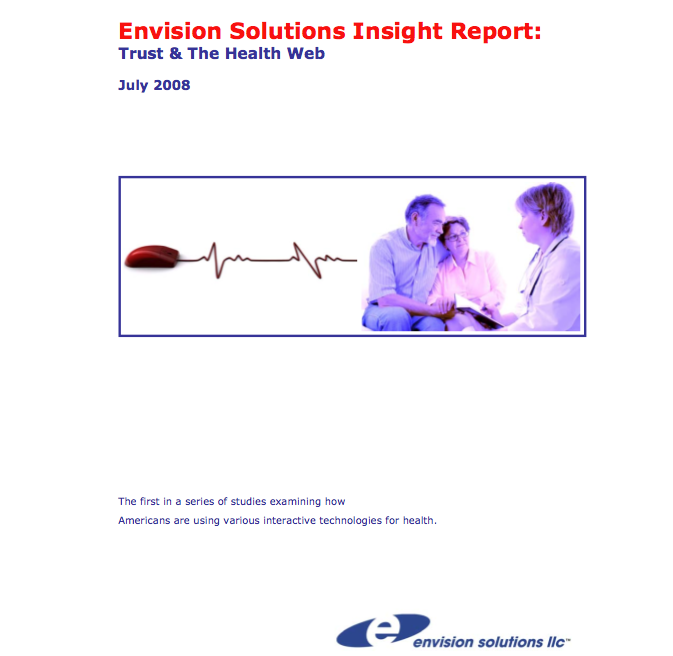 I found this commentary intriguing because of the results of a national survey my firm Envision Solutions released yesterday. Kelton Research, a well-regarded polling firm, conducted the study. Thirty-eight percent of Americans say they have doubted a medical professional’s advice because it conflicted with information they found online. Alan Brookstone, author of CanadianEMR, said the results confirm “what most doctors are already finding in their practices.” Brookstone suggests the Internet may be having a negative impact on the patient-provider relationship. My belief is that online information is causing Americans to view providers’ advice critically, which in some cases may actually benefit relations between patients and medical professionals. Research published earlier this year by iCrossing tells us that trust of the Internet lags behind its popularity. Given this, we decided to examine Americans’ perceptions of health information published by providers and patients on blogs, online forums and other Websites. We wanted to determine whether it is appropriate for us to assume that content created by patients is viewed as highly trustworthy. We found that Americans are much more likely to trust information developed by medical professionals. Except for the young, most US adults did not list patient-developed content as one of their most trusted health information sources. Overall, this study provides us with helpful information we can use to better understand how Americans view online health content and how it influences medical decision-making. To download a summary of the survey results, please click here. I use the internet to get information about my health, and will weigh it against what my doctor says. However, i do understand that a computer generated response is not the same as a trained professional. The only time i really trust/use the internet to overrule a professional is with a dentist. There is a site called http://www.dentalpricecompare.com that shows how much procedures are supposed to cost. So if the dentist seems to be trying to overcharge me, i consult that site to see what he/she should be charging me. Rayna, i actually found a better site than the dental one you listed, you might want to check out http://smarthealthbuyer.com, it gives dental prices, but also prices for cosmetic surgery, chiropractic, accupuncture, and a couple other things.